Today I have a cautionary tale to share. This is a story about checking gauge. 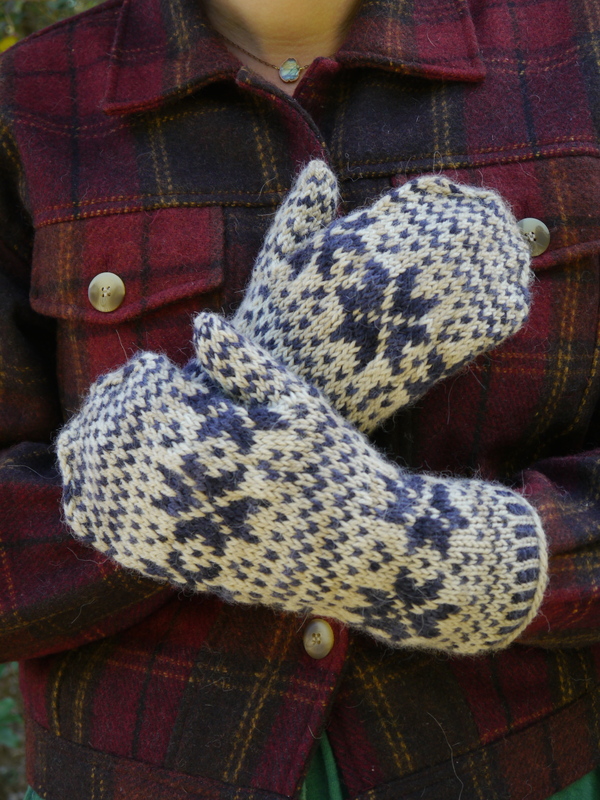 which is a good thing, because I had to knit three mittens just to get the one pair. I must have been having a rough week when I started on mitten number 2 because, as you can see, it is significantly smaller than mitten number 1. I really should have caught the mistake sooner – the gauge is way off – but I was knitting with the same yarn, the same set of double pointed needles and didn’t think to measure. The extra practice must have helped though, I managed to knit the 3rd mitten in a single day! It looks like you knit three fewer rows (at least) on the one on the left, too. Look at the patterning above the top set of stars. Sharp eyes Lynne! I did realize as I got to the top that my mitten was too small, I knit the end a little shorter to make it a child size mitten- If I knit a 4th one at the smaller gauge I’ll have a nice pair of child size mittens but I will have to go down a needle size or 2 to match the gauge. Oh, funny! I hope you’re able to get two pairs out of your mistake! 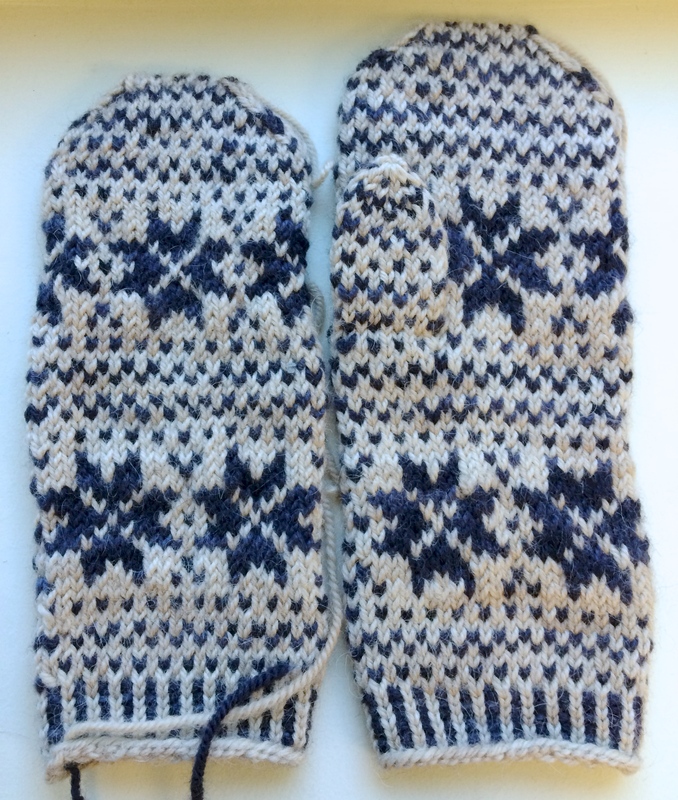 My (so far only) experiment with twined knitting ended after my first mitten. I obviously hadn’t done a large enough practice swatch – I just made it of a size to measure tension. The beginning of my mitten was a reasonable size, but halfway through my tension changed (presumably I got comfortable with the technique) and the mitten is about three sizes smaller at the fingers than at the palm. Next article Emily Explains: How do I make an afterthought thumb?